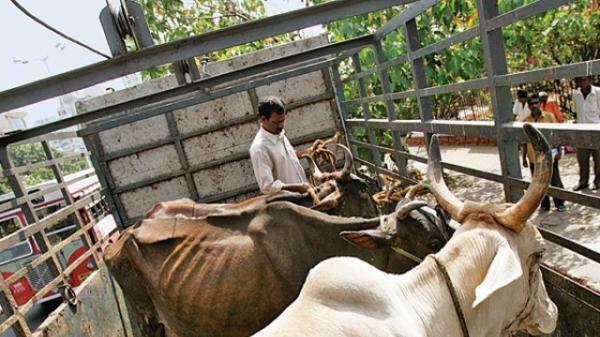 Praveen Tiwari and a driver Ahmed Ali were assaulted by the Toll Staff and other people's because they think that they transport animals for slaughtering. Police came there 15-20minutes late and arrested 5 persons . 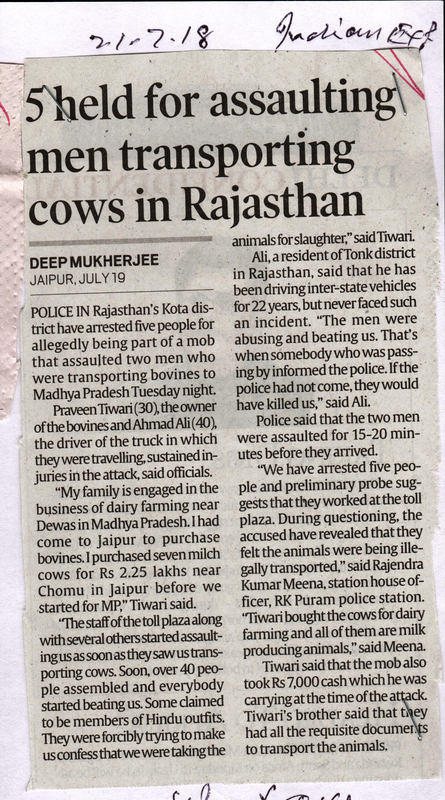 According to the Praveen he runs a diary for which he buys 7 cows in 2.25 lakhs and mob also taken away Rs. 7000.